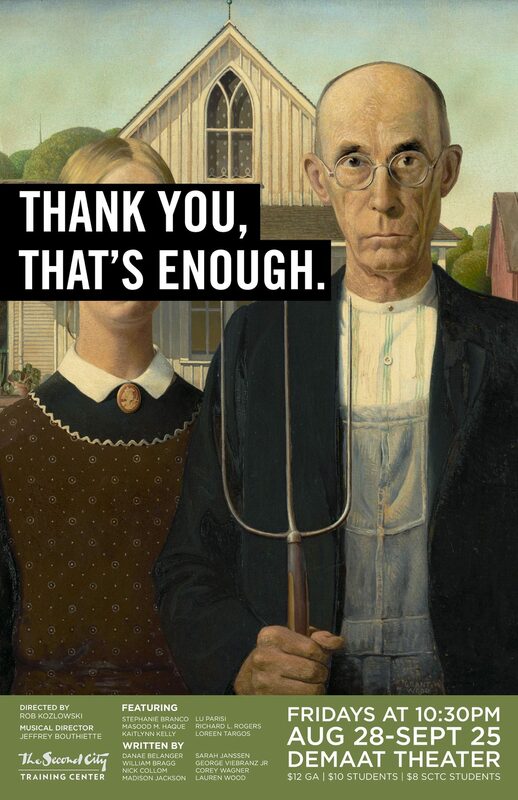 If you live in the Chicago area and like to laugh at how terrible human beings are in general, then come see “THANK YOU, THAT’S ENOUGH” at The Second City. Written by me and seven other weirdos. Performed by six actors who are sure to make you spit your drink out at least once. This show has been a year in the making so come see what my fellow writers and I have been up to the last year and come fluff your disappointment in humanity with us!